The villages of Sierra de Francia’s are quite a micro region for wine, and if there is one thing I love to do while on the road, that’s visit vineyards . . . and breweries . . . and distilleries . . . and, you get the idea. 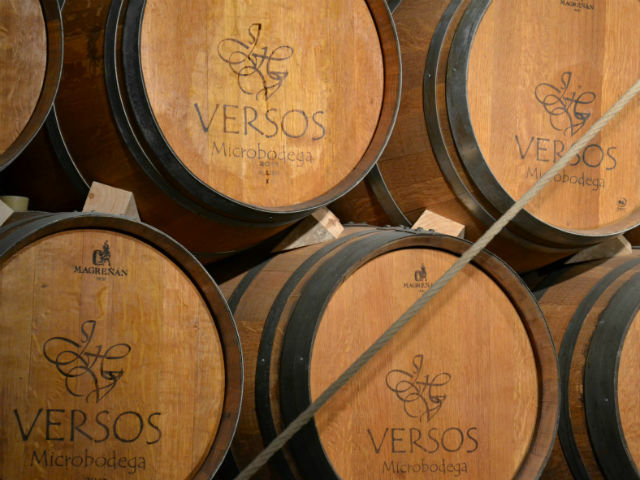 On this visit to the Sierra’s I had my parents visiting, knowing they also love a drop or two of fermented grape, I thought it was a fantastic opportunity to visit Versos Microbodega in San Martín del Castañar. As with most Spanish regions, you can expect to find a lot of Tempranillo and Garnacha, but one grape that is slightly rarer and special to this region is Rufete. 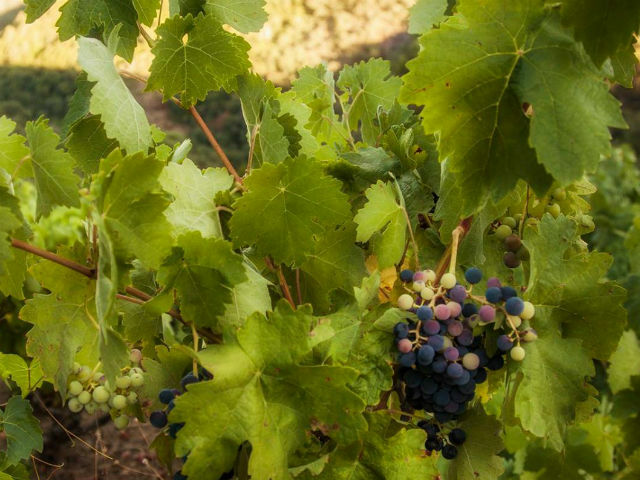 It was on the verge of sliding of the wine map for good in the face of the more popular grapes, but a concerted effort to grow grapes that are native to this region has seen it make a comeback. I contacted the vineyard a few weeks before visiting to check they were open and if they operated tours and to my delight, they had two tasting options. The Wine Route – This is the full tour, it includes a visit to one of the vineyards (they are not on the same site as the restaurant and tasting centre) with the sommelier who talks about the terroir and vines followed by a tasting session in the vineyard. 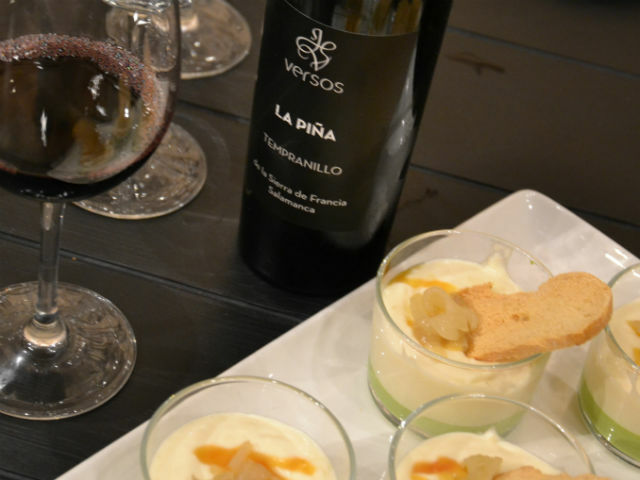 After returning to the village, there is a second tasting session, in their museum, followed by lunch in the Versos restaurant. The price of this is €50 per person and everything is included (Transport, tastings and food). This to me sounded amazing. 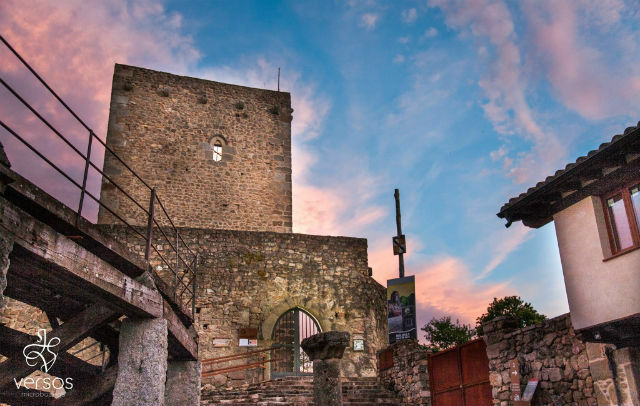 A trip into the vineyards, tasting in a castle, wine geeks paradise! However, my partner, Raquel, was 7 months pregnant at the time so although they assured me a smooth drive, I didn’t think it’s the kind of thing she’d enjoy, especially not being able to drink the wine. So that left us the second option, The Short Tour. This is all on site, a tasting of their wines followed by lunch in their restaurant for €30. This sounded like the best idea so I booked four spaces. We arrived for our visit as part of a day exploring La Peña de Francia and a few of the villages in the Sierra de Francia foothills. We weren’t allowed to drive into the village so we left the car on the outside and walked into the centre passing many small allotments with local residents selling boxes of freshly picked cherries to passers-by. Versos Bodega is at the top end of the village, opposite the castle and next to the bullring which is behind the impressive church (not bad for a village with less than 300 inhabitants right?). The building stands out with its wooden beamed facade. It’s one of those that looks old, but well looked after . . . but also that it could fall down at any moment! 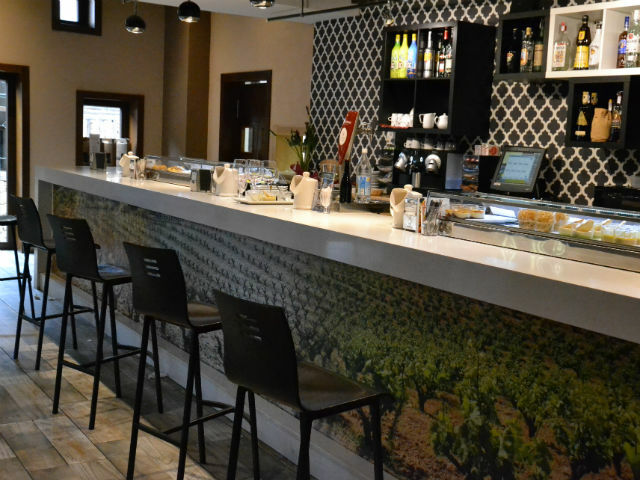 Inside it is an elegant looking place, the wooden beams continue inside with plenty of tall tables and stylish looking displays of their wine. We were greeted with a warm welcome and plenty of handshakes as we introduced ourselves before being taken into the cellar to start our tour in the museum. 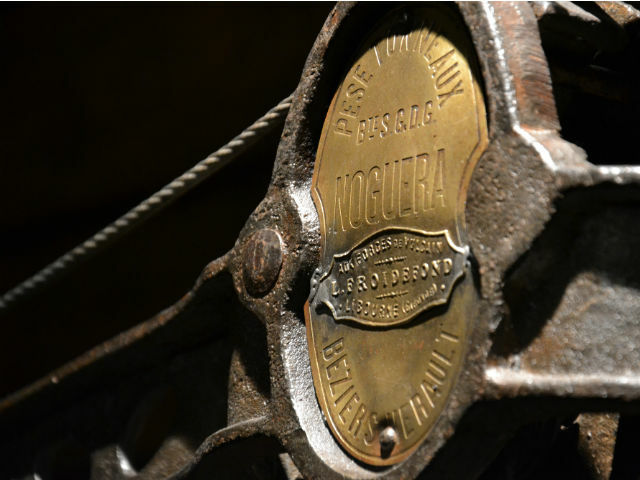 Our guide for the day was Justo, and while the museum is not very large, all the items they have on display are pretty special including one of only a handful of traditional barrel scales that still exist, an 18th-century bottling machine and medieval stills. Justo was happy to explain each piece and had a good level of English, for any words that he wasn’t sure about I had my translator (Raquel) on standby. The day continued into the tasting. At this point we were lucky that the owner of the operation, Jesus Herrero Valero, walked in and joined us for our tasting, talking us through his wines and philosophies. Now, I refer to it as a tasting, but it could also qualify as a session. 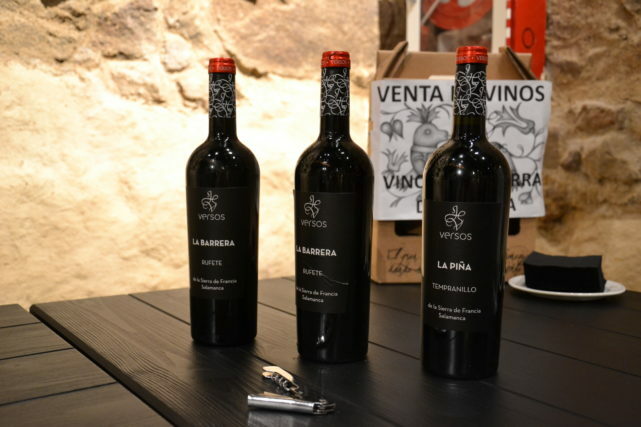 We tried four wines in total, first their Versos white B15 followed by a Rufete ‘La Barrera’ a tempranillo ‘La Piña’ and finally a Rufete dominated blend ‘La Torre’. If you want to see the tasting notes I have included them at the bottom of this post. I’m used to tastings being just that, a small sip and the opportunity to spit. But not today, noooooo, these ‘tasting’ pours were almost full glasses. By the third I was already feeling a little light headed. But it would have been rude to stop the owner of a vineyard while in full flow. As Raquel couldn’t drink the wine they were happy to provide her with whatever else she wanted, in this case, she got into the spirit of the day by drinking grape juice. While we sipped Jesus explained about the vineyard, the grapes they grow and how they work closely with Salamanca University. He also told us about his efforts in energy conservation. With their use of renewable energy, they are able to run their vineyard and produce their wine while using as much power as it takes to run a household iron. 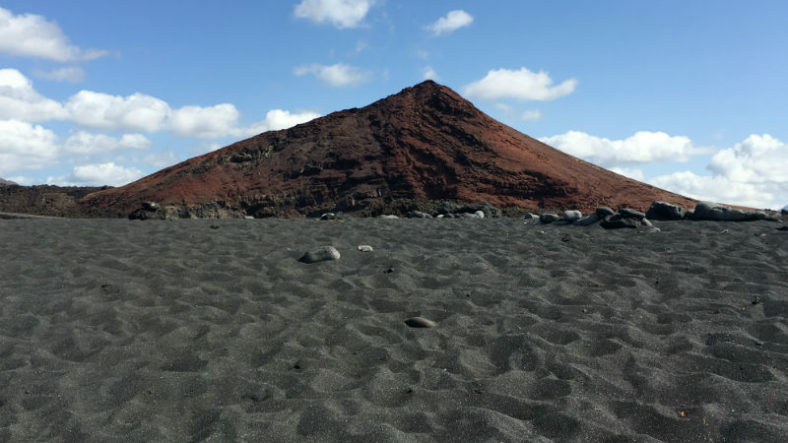 It really is amazing what they have achieved by harnessing the power of nature. As well as the copious amounts of wine being served, the Director of the Center, Soledad Ruiz, joined us bringing some delicious tapas dishes to go with the wine. The cod cream on creamed potato with a pea puree (fish and chips in a blender as my mum called it) was delicious. Already a little tipsy and feeling nicely nourished from our tapas, it was time for more food and drink in the form of lunch. We headed back upstairs to the bar and then up again to their restaurant. The menu sounded delicious but we were all a little nervous that we wouldn’t be able to finish it, after all, it is five courses! 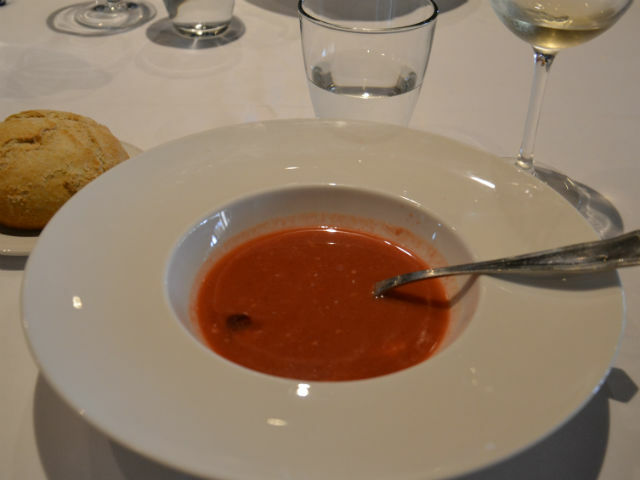 First up was the cherry gazpacho. An empty chilled bowl was placed in front of us and before we could crack the obligatory jokes about ordering the low fat menu the waiter was back pouring the chilled soup into our bowls without spilling a drop. Not as easy as it sounds. 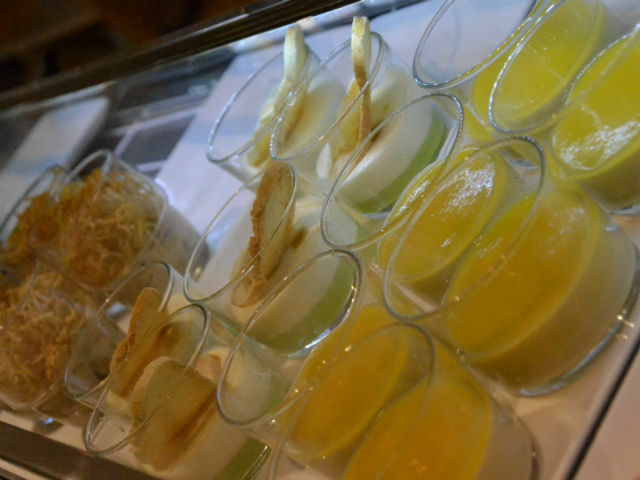 Even my Dad, who cannot get his head around the concept of chilled soup, seemed to enjoy it. Next up was the Basque style cod, delicious, followed by the roast suclking pig confit, juicy and finally mixed berry cheesecake, refreshing, all served with more wine and plenty of water. Three hours after arriving we were done. Full to the brim with amazing food and generous servings of wine. Jesus, Soledad and Justo all popped over for one final check of how everything was before we were left with the bill. I was a little concerned while eating that the extra wine and water we had had with lunch would have skyrocketed the bill but no, 4 people, €30 each, extraordinary value. I’d wholeheartedly recommend a visit to Versos vineyard if you are exploring the region. We only did the short tour but having met the team I am sure the Wine Route Option will also be amazing. If you want to see some photos, Justo is very handy with a camera and you can see more photos of the vineyards and tours on their Facebook page. Dry white with a light to medium body, flavours of stone fruit and a nice long finish. Was wonderful with the cod tapas served at the same time. 90% Rufete & 10% Tempranillo. Aged 12 months in French oak before bottling. Medium bodied with a lovely blend of red fruit flavours such as strawberry and raspberry. Slight toasted vanilla on the finish. 60% Aragones (garnacha) 40%Syrah, aged 18 months in French oak. More toastyness from the extra 6 months in oak compared to La Torre. Dark fruit flavours with a sweet balsamic flavour, very elegant. 100% Rufete, this is a fine version of the traditional wine from this region. Expect plenty of red fruit characteristics such as strawberry and raspberry with floral touches. Footnote: It seems a little strange having to put this in here, but I feel I should. Bloggers are meant to disclose if their review was paid for, or if their visit somewhere was free. I want to do the opposite and state here this is not the case. I was a customer, we paid our bill, and this is a 100% genuine reflection. OMG what I would do for a sangria right now. Great post, will definitely be treating myself this Halloween to a glass or two after reading. Such a great deal for a full belly of delicious food at 5 courses and some fun sampling wines. 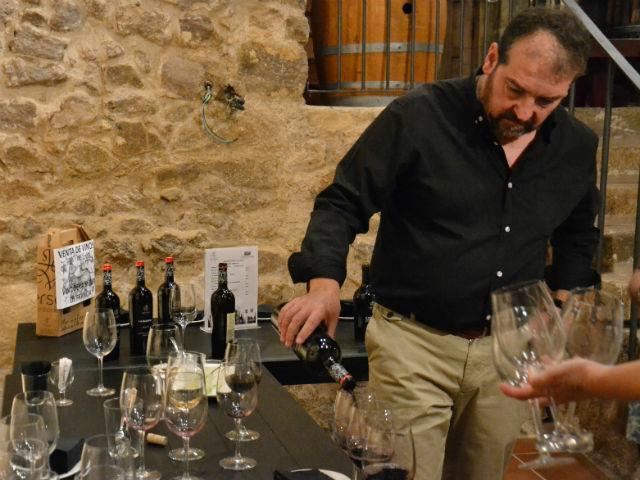 Tasting fine wine right at the source and in Spain sounds delightful. I love how you always have a “themed” and organized kinda trip. I mean, I should do that once. Maybe in Tuscany for some wine tasting as well!! Have you been there too? This sounds like a wonderful opportunity. And for a great price. It’s awesome that they were so welcoming and you got treated to a tasty meal as well.